With its famous cuisine and fascinating culture, Louisiana makes a lively and exciting babymoon destination. Located in the heart of Cajun country, Maison D’Memoire offers you a tranquil babymoon break in one of its authentic Louisiana bed and breakfast cottages. These beautifully decorated cottages are completely private, with full kitchens for your convenience and a delicious full breakfast delivered to your door each morning. The relaxing setting includes a private lake by which you can sit and while away the hours... or you may prefer to simply relax and enjoy the view from your porch. Additional enhancements - such as chocolate covered strawberries, fruit basket and flowers - are available on request. Recipient of the HotelsCombined Recognition of Excellence award for 2018 in the United States, the delightful Louisiana Cajun Mansion is located in the middle of Cajun Country. Enjoy a babymoon just minutes away from local festivals and Swamp and Alligator Boat tours, with Cajun food, dancing and music on your doorstep. The elegant suites are designed with privacy and romance in mind, and you'll enjoy a differnet Cajun breakfast - including one sweet and one savory plate - every morning of your stay. Whilst the Inn doesn't offer a dedicated babymoon package, there are amenities available to make your stay extra special, including in-house couples massages and romantic dinners in the wine room. You are invited to discuss your booking with your hostess for more babymoon ideas! 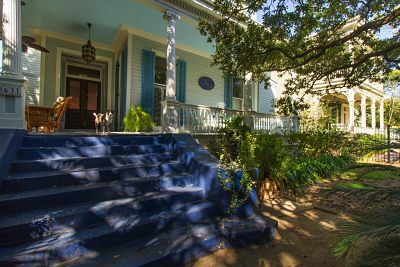 This artsy boutique bed and breakfast - located in the Garden District of New Orleans, close to Magazine Street and St Charles Avenue's shops and galleries - offers an intimate babymoon venue. With only nine rooms, the inn feels private and peaceful, whilst the unique architecture provides a romantic setting for you to reconnect as a couple and put day-to-day cares aside. Why not celebrate your babymoon in historic Natchitoches, with a stay at the elegant Sweet Cane Inn? 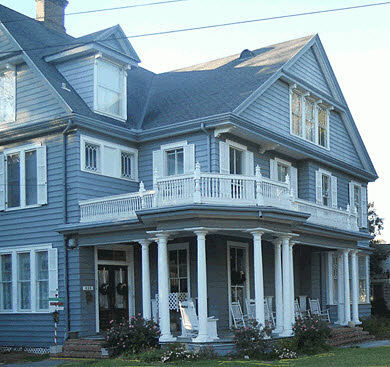 The Sweet Cane Inn is conveniently situated in the Historic District, with beautiful Front Street just a short walk away. Take a stroll and soak up the romantic atmosphere, surrounded by restaurants, shops, attractions and wrought iron balconies facing the scenic Cane River Lake. The inn's sumptuous breakfasts offer something for everyone, from Cheesecake Pancakes to Fresh Mozzarella Frittata, and the rooms retain their historic feel whilst offering luxury and modern amenities. The innkeepers always aim to offer a memorable experience and whilst they do not offer a babymoon package as standard, they invite you to contact them to discuss your requirements for a dream pre-baby getaway.